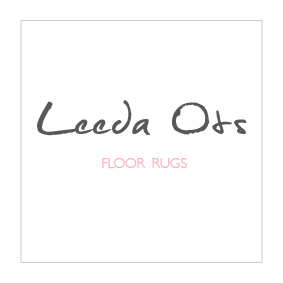 The owner of the online store leedaots.com (hereinafter referred to as the online store) is FIE Leeda Ots (registry code 11801967 ), located in Estonia. All shipments within Estonia generally arrive at the destination specified by the purchaser within 3-7 business days of the date of entry into force of the contract of sale (if the shipping time of the product is 1-3 business days). For made-to-order products shipping time is specified within the item description (usually 1-4 weeks). Shipping times outside of Estonia are: 1-2 weeks within Europe, 1-4 weeks overseas. Each product has a different lead time and this will add to the shipping time. Ready-to-ship items will be shipped out in 1-3 business days, made-to-order items in 1-4 weeks. This shop will not be responsible for shipping delays, it may occur during holidays and busy seasons. If the goods have been used for any purpose other than is necessary to ensure the nature, characteristics and functioning of the goods, or if there are any signs of use or wear and tear, the online store has the right to refuse from refunding. To return the goods, you must write to the e-mail address leeda.ots@gmail.com within 14 days of receiving the goods. All complaints made by a purchaser about the online store must be e-mailed to or submitted by calling .